Welcome to TAG Physical Therapy! TAG PT is the South Bay’s most elite and comprehensive physical therapy and sports medicine clinic. Our physical therapists are highly trained with years of experience, providing treatment and utilizing techniques based on current concepts and research. 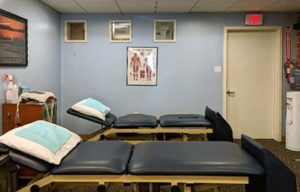 We take pride in offering one-on-one treatments specializing in manual therapy, therapeutic exercise, taping strategies, and pain-relief modalities. Our therapists deliver superior rehabilitation services to a diverse patient population, which includes competitive athletes and weekend warriors, as well as non-athletes. Here are some useful links to help prepare you for your first visit. © TAG Physical Therapy. All Rights Reserved. Site Design by Spohn Design.